Eric Dier will not play again for Tottenham this year after having his appendix removed, the club have confirmed. Dier has featured 13 times in the Premier League this season but was forced to miss Saturday's 1-0 win over Burnley for reasons that were not revealed at the time. Eighteen-year-old midfielder Oliver Skipp took Dier's place and made his Premier League debut, as Christian Eriksen's late goal secured the victory. 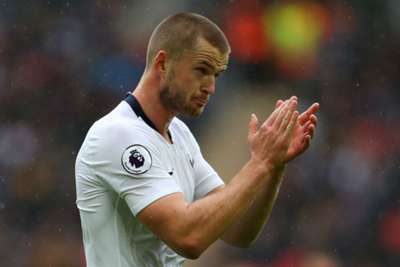 Spurs confirmed on Sunday that England international Dier had complained to the club's medical staff about abdominal pain, before being diagnosed with appendicitis. He then had surgery to remove his appendix, a procedure which will now keep him out of training for the next few weeks. Spurs have said Dier will return to the training pitch in January, though they have not said exactly when. Nevertheless, he will miss the upcoming EFL Cup clash with bitter rivals Arsenal, as well as Premier League games against Everton, Bournemouth, Wolves and Cardiff City over Christmas and New Year.